To whoever is pm-ing me on chatango, my laptop cant seem to process back-dated messages. Sorry for not being able to reply. Traveling at the moment. Updates as usual as I have my laptop and wireless =D. This is a 100% fix to the previous fiddler2 farmville cheat here (link). That cheat doesnt work all the time but with this fix by aaron_yao, you will always get the item you want. Now you will need 2 DairyFarm. Let's name them DairyFarm A and DairyFarm B. Leave DairyFarm A empty. Have 2 cows in the other DairyFarm B. Send 1 cow from DairyFarm B to DairyFarm A. Go visit a fren and return to your farm. DairyFarm A should not be ready for harvest. Now send your farmer far away from DairyFarm A. Now send him to collect milk from DairyFarm A. 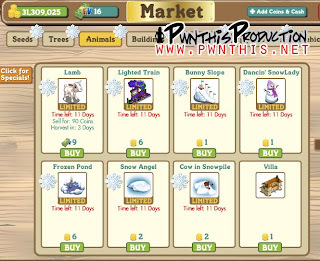 While your farmer is walking over, Go to market>animals and buy your cashitems or whatever items that you've inserted into the database. Impt: The moment your collection of milk is 100%, place your cash item into the DairyFarm. Steps to add your own items. Now find the item to change the type and price. For cash items, Delete those highlighted in Red as shown in the image below. Have fun scrolling through the numerous items and editing them to your liking. Just remember to always update your Fiddler2 gameSettings.xml when you have changed it.